Two Outta Three ~ Cover Reveal! 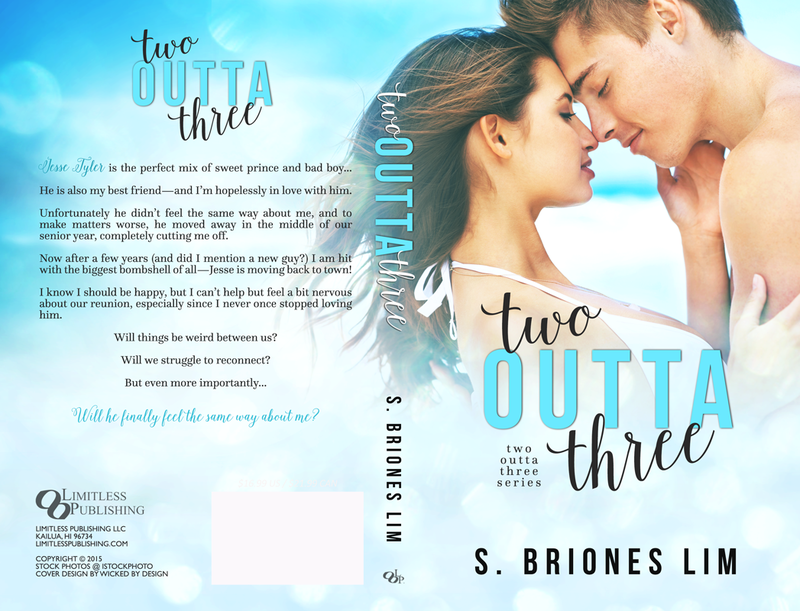 I am so thrilled to share the beautiful cover to my upcoming new adult novel, TWO OUTTA THREE. To be released on June 2, 2015 so please mark your calendars!! He is also my best friend–and I’m hopelessly in love with him. Unfortunately, he didn’t feel the same way about me, and to make matters worse, he moved away in the middle of our senior year, completely cutting me off. Now after a few years (and did I mention a new guy?) I am hit with the biggest bombshell of all–Jesse is moving back to town! I know I should be happy, but I can’t help but feel a bit nervous about our reunion, especially since I never once stopped loving him. Will things be weird between us? Will we struggle to reconnect? Will he finally feel the same way about me?